With so many wineries around the world, so many of which have their own websites, as a wine-lover you would expect to have a wealth of information at your fingertips. But the wine industry is a complex beast and the information on the internet is disparate, confusing and fragmented: even if you know what you’re looking for, it’s not easy. Our goal is to change that, to make the information more freely available and to create the most comprehensive database of wines on the internet to enable you to discover new wines, to learn more about the winemakers who produce them, to meet fellow wine-lovers and to make more informed choices about the wines you drink.The bottom line? We want to help you discover new wines and to get to know the winemakers who create them. 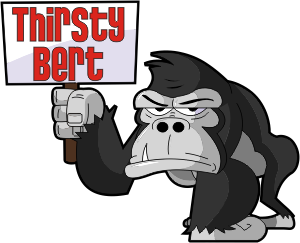 We hope you enjoy browsing ThirstyBert and we would love to hear from you with any comments: whether you love what we’re doing or even if you hate it, your feedback helps us to improve the service we provide.